Control software for the Phantom Camera. Is there a better alternative to Seance? Is Seance really the best app in Video category? Will Seance work good on macOS 10.13.4? Fixed installer issue that caused 10Gb ethernet problems. Phantom Camera or Cinestation with a Cinemag. Cinestation 10Gig users should also use a compatible 10Gig Ethernet Card. Visit our Knowledgebase for a complete list of compatible network products. Seance needs a review. Be the first to review this app and get the discussion started! Seance needs a rating. Be the first to rate this app and get the discussion started! Seance puts you in direct communication with your Phantom! 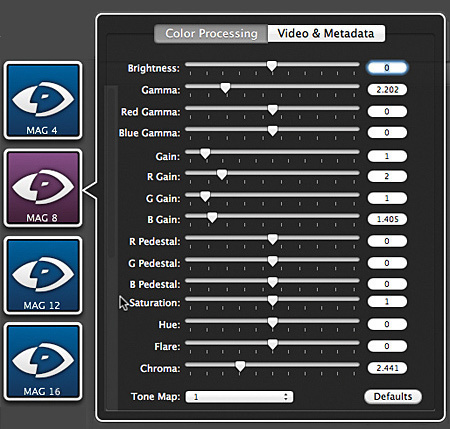 With this software, you can control your Vision Research Phantom Camera directly from your Macintosh. Séance supports several models of Phantom Devices: the Phantom Flex, Phantom HD/65, and the Phantom v640/641/642. This software is also ideal for the Cinestation, as well. Séance includes a GPU-accelerated live preview that closely matches what is displayed on the HD-SDI output of the camera, and now provides all of the image adjustment controls available on the hardware. Color adjustments can be made on a shot-by-shot basis. You can tweak the settings to give your imagery the look that you want before downloading the footage to your Cine file. Using the same color science that the Phantom Cameras use, the Cine Preview provides a match to what the DP expects to see. This also matches what will be displayed by the Phantom Cine Toolkit, providing consistent color through the post process.